«Pink Noise» (AV performance with Elia Buletti), O3one Gallery, Belgrade. 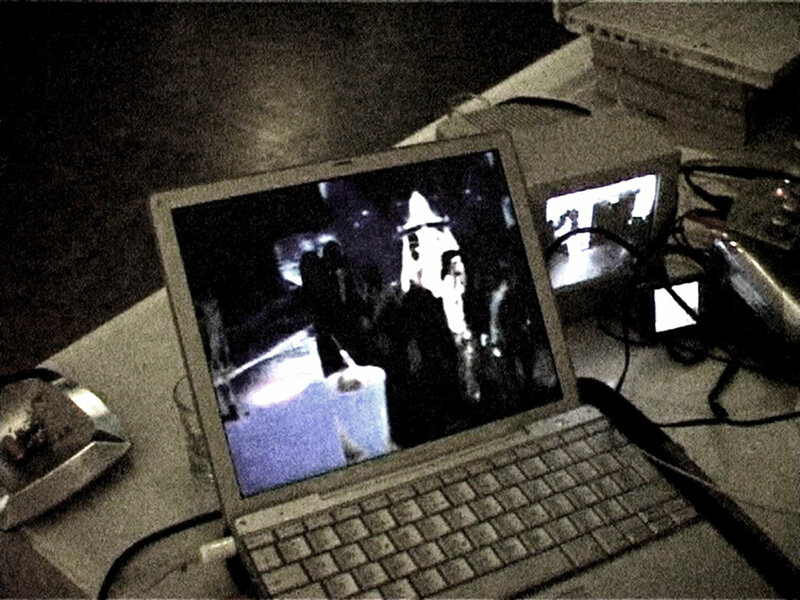 The first deployment of Pink Noise occurred in April 2007 at O3ONE Gallery, Belgrade, as part of the exhibition «Contrasted Working Worlds», curated by Marko Stamenkovic. During the exhibition opening, the software generated live visuals for the performance of electronic musician Exteenager (Elia Buletti). The source imagery was derived from a large database of video material accumulated by the N3krozoft Media Group during its psycho-geo-strategic investigations in the Balkan region. 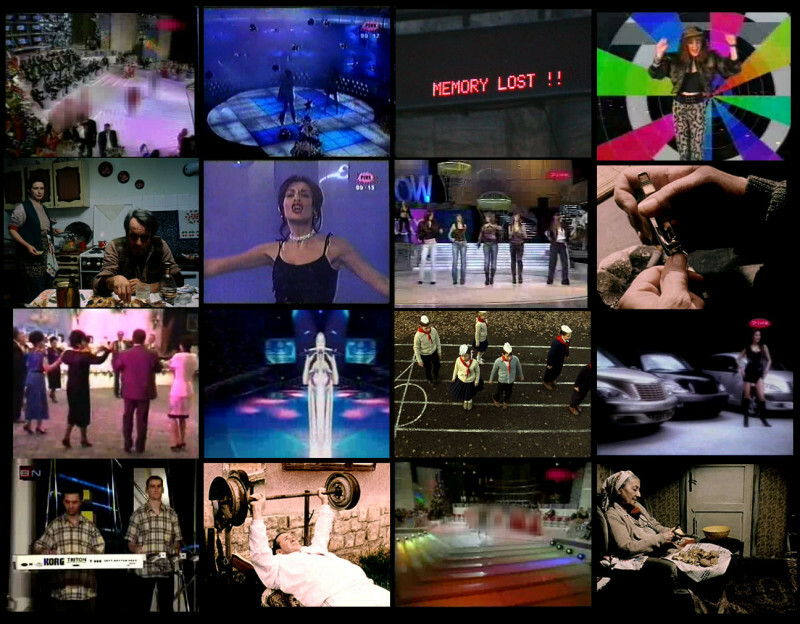 It included a fair amount of manipulated music video clips and television advertisements, mostly gathered from the infamous serbian television station TV Pink. The processed material was complemented by live input from surveillance cameras placed inside the gallery space, in order to «integrate the viewer and his local environment into the larger macrosystem of information transmission» [Gene Youngblood, 1970].